Welcome to the place where the discussion is all about choosing, buying, wearing and maintaining a wig. There’s more to Wearing a Wig.. The stigma of wearing wigs has long gone for some but still a scary thought for others. They have their advantages, like changing them like you change your outfits. Wigs are appealing to everyone and anyone. Whether it’s for fun, medical issues or a simple style change, wigs are a big trend happening now. If Wearing a Wig is not for you, you can always have the option of reverting back to your original hairstyle. For many it’s a choice they have to learn to accept. Dealing with thinning hair or hair loss, is a major shock to the system. Looking to Wearing a Wig for the very first time can become very scary. An if you are here to just explore wigs and get your questions answered. I hope this site can help in your journey of learning to explore this new world of wigs. There’s more to choosing a wig than picking a colour or style. Finding out which type of wig fits your wig wearing needs is a good place to start. When it come to shopping for you wig, there are a few items that can really help you make it more easier. 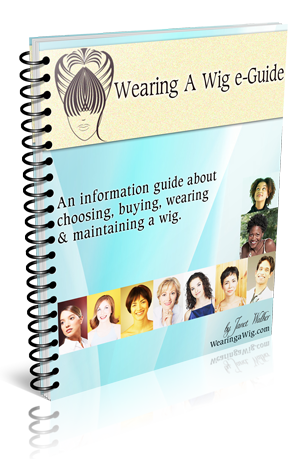 These tips will help you the wig buyers feel more confident when out shopping. If you are introduced to wigs due to hair loss, or thinning hair then you will find helpful ways and tips to get you use to Wearing a Wig for the first time. Everything new can be scary especially when it comes to our appearance to the outside world and to ourselves. For all you novice wig wearer divas and gents, you can learn some styling tips for your synthetic and human wigs. Keeping your wig looking new and fresh can be done by you in the comfort of your home. Are you experimenting with colour, if so you will be in for a treat, if you use the wig colour charts you will be able to learn the actual codes for your new wig colour. Whether it’s a basic sleek black or a two tone colour, I’m sure you will find something that grabs your attention. Don’t be intimidated, scared, frustrated or unsure about choosing, buying, wearing or maintaining a wig again. Wearing a wig.com is here to help you along your wig journey, and to share your experiences with others.